My daughter is so crafty and always has great ideas when it comes to fashion and DIY. I’m usually not so adventurous with fabric, but she’s helping me in that area. She saw a video on YouTube about making your own Kimono out of a scarf. So, we tried it! I think for our first one it turned out great. One day while browsing on Instagram, I saw a gorgeous Kimono that spoke to me. It said “Julie, buy me.” So I did! I purchased the Kimono on a pre-order from Avenlie. The colors are stunning and it features fringe. 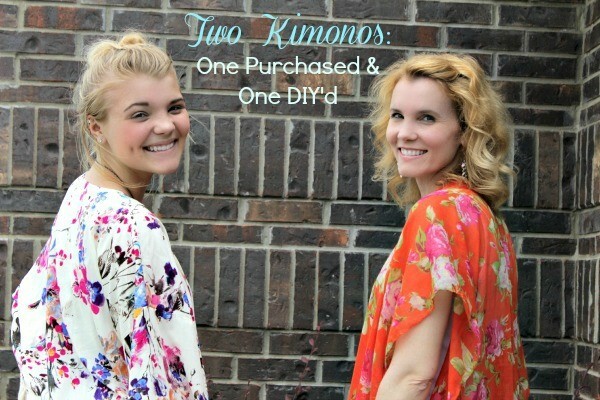 Hannah is wearing the purchased one and I’m wearing the DIY Kimono. What do you wear a Kimono with? 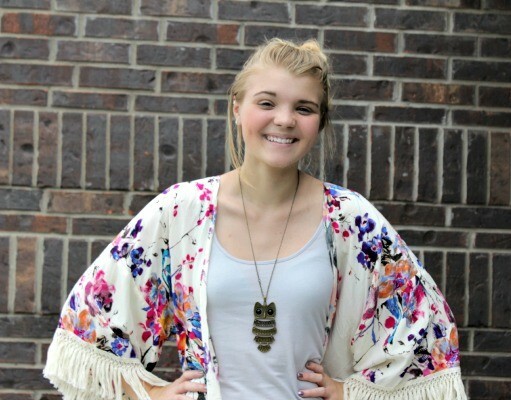 Hannah’s favorite thing to style her Kimono with has been jean shorts and a tank. What a fantastic summer outfit! You can also style it with jeans or a romper. I decided to try the white on white trend with my favorite Calvin Klein shorts and a white tank. 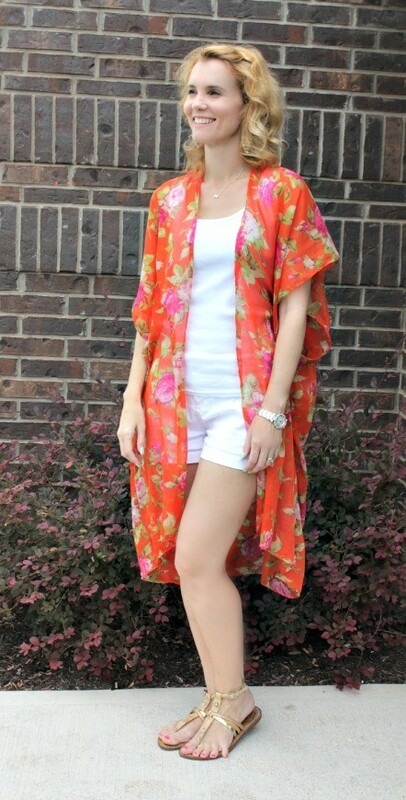 I broke it up with the DIY Kimono, which I think makes the colors really stand out. I can see myself using this as a swim suit cover-up this summer. Can you believe this is made from a scarf we found in my closet? All we used were a pair of scissors and fabric glue. I love it! Have you worn a Kimono? Would you wear a Kimono? Maybe it’s time to try something new! 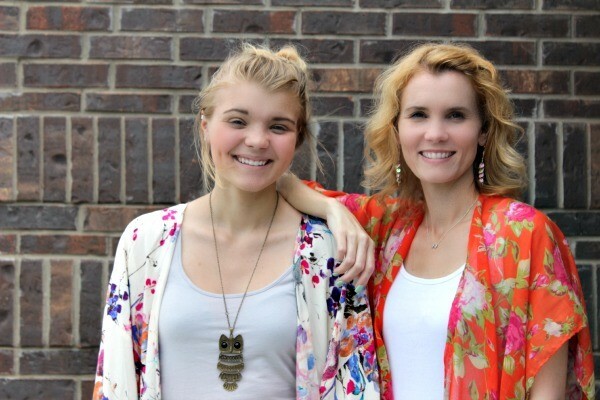 Which Type of Parent Are You, and Which Type Do You Want To Be? Essays like this are so important to brnoaenidg people’s horizons. Where can I get a kimono like the one your daughter is wearing? Does the website have an email?